I love Peppermint Bark. 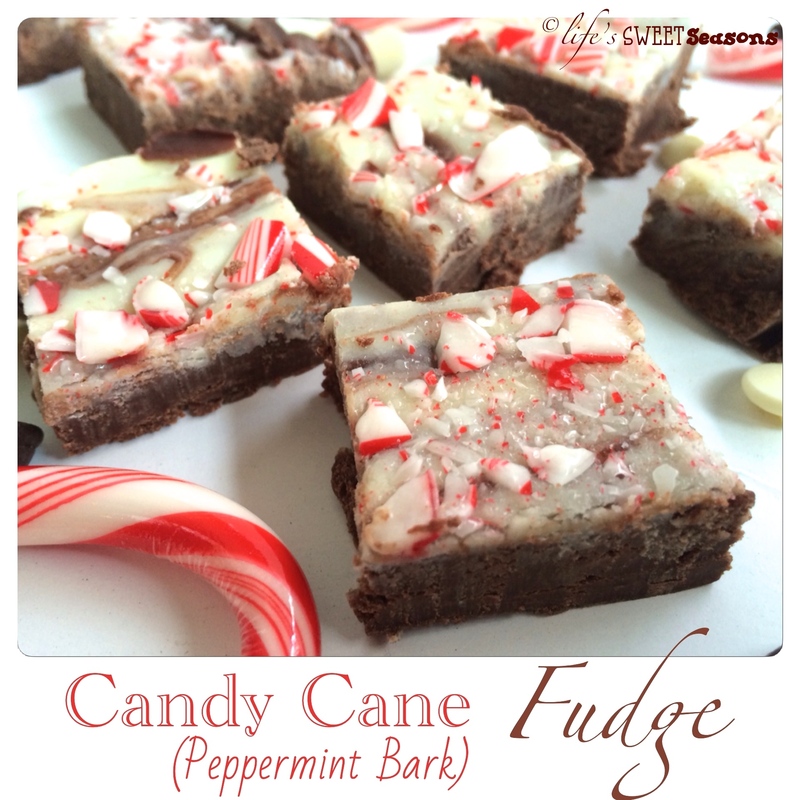 It was one of the first Christmas candy recipes I ever tried when we were living in Pasadena, California because it was so easy I was hoping that not even I could screw it up. I was right. It turned out great, which meant that I wouldn’t have to wait for Trader Joe’s Peppermint Bark to go on sale after Christmas, I could make my own any old time I wanted. Well, just as long as I could find candy canes or peppermint candies. Even though it was my birthday, I was still willing to share my fudge. The kids were slightly skeptical because they’re kinda partial to pure chocolate fudge with an exception to the new peanut butter swirled fudge. After one bite of this though, they were hooked. It’s safe to say my kids loved this fudge. Matthew said, “This is the best fudge ever! I want to have five thousand hundred pieces. I want all that for myself!” pointing to the entire tray of fudge. Lindsay’s eyes just got bigger and bigger the more she chewed until she squealed, “I’ve always been dreaming about this!” (which is her new go-to phrase for all things new and exciting.) And I smiled, thinking Me too! 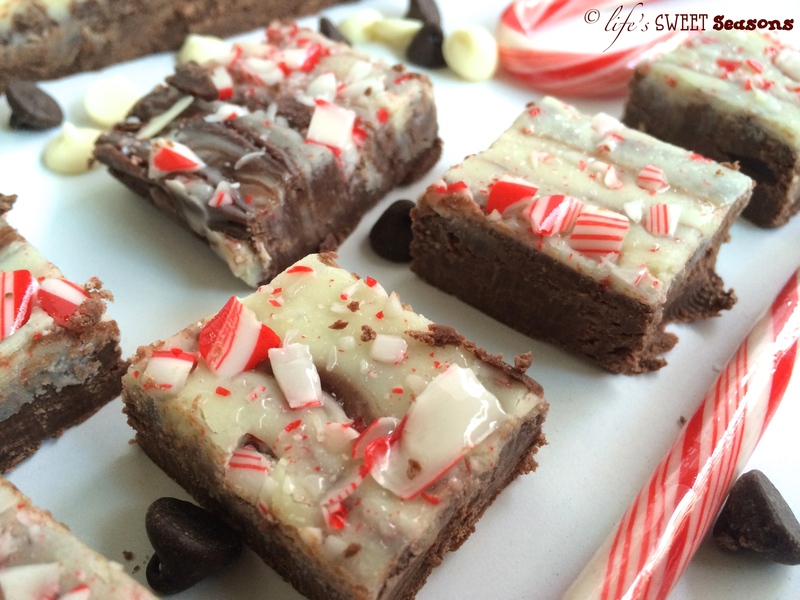 This fudge is the perfect combination of chocolate and peppermint. The crushed candy cane gives it a little bit of texture that also adds a satisfying crunch. Basically, all my favorite things about Peppermint Bark are found in this fudge with the only difference being that it’s chewy. It’ll be the perfect candy to make when I get home in December to give away at Christmas! Butter & line an 8×8 inch metal pan with a sheet of parchment paper making sure that it’s long enough to hang over the sides. This will ensure easy fudge removal later. 🙂 The butter helps keep the parchment paper in place while you’re pouring the fudge into the pan. In a medium, heavy sauce pan stir together the chocolate chips, 2 Tbsp butter & 1 cup Sweetened Condensed Milk (measure slightly below the top of one cup to ensure enough condensed milk for the white chocolate chips) over low heat until all the chocolate chips have melted. Remove from the heat and stir in 1 tsp vanilla extract. Set aside. Pour the chocolate mixture into the prepared pan. Using an offset spatula, smooth out the top until level. Drop the pan from 1in high 2-3 times on the counter to get all the air bubbles out. Dollop the peppermint chocolate mixture evenly across the chocolate. Using a butter knife, swirl the white chocolate into the dark chocolate. Drop the pan a couple more times for good measure. Carefully pull the parchment paper up and remove the fudge from the pan. Cut into squares & store in an airtight container in the fridge. 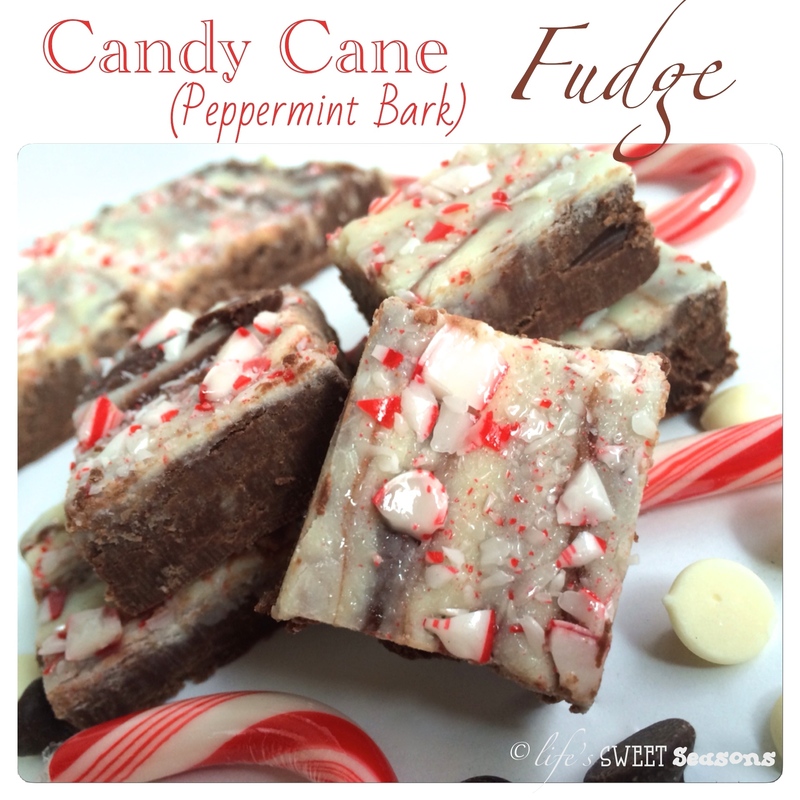 Notes – If you prefer room temperature fudge, you can leave this fudge out for about thirty minutes and then eat it. It still holds together and is only slightly soft. It’s perfect to sink your teeth into also if your teeth tend to be sensitive to cold. However, after an hour it’s slightly sticky and begins melting a bit as you hold it in your fingers. So you know, try to eat it between 30-60 minutes out of the fridge and you’re good! Good luck with that though, because it smells amazing as soon as you start cutting into it. I usually have to have a piece immediately and cut extra to leave out for a bit. Nope I cannot resist the temptation of chocolate. Also, if you’re not a huge dark chocolate fan, you can use one cup of semisweet chocolate chips and one cup of milk chocolate chips.